The tour start up at the time you requested and the location as you requested. Your licensed guide will pick you up. The ticket prices are not included the fee and tour time is around 6 hours. The extra ticket roughly 20 Eur for all museums . Historical city tour in historical peninsula and it covers the Blue Mosque, Hagia Sophia, Basilica Cistern and Grand Bazaar. Pick up at the hotel and drop off at the hotel by request. 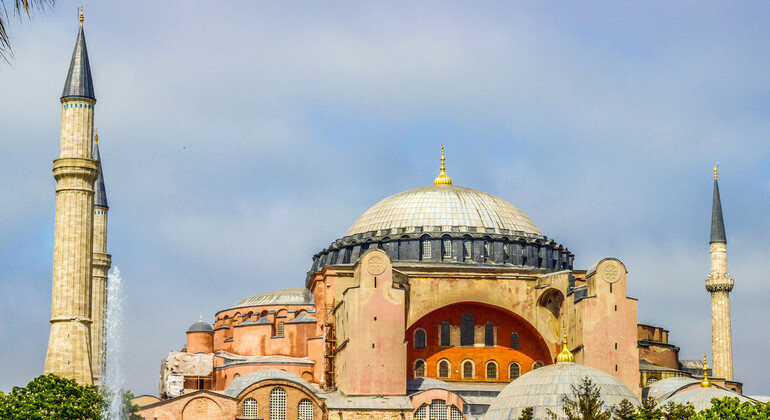 The tour start at the hotel and the itinerary is Blue Mosque, Hagia Sophia and Basilica Cistern. The last stop is Grand Bazaar which is oldest bazaar in Turkey.